Venture Capital (VC) firms are the lifeblood of start-ups and early business firms. These firms basically raise capital and provide start-up funding. In this article, we will have a closer look at the top 12 Australian venture capital firms. Telstra Ventures, a strategic venture capital firm, is very active in start-up funding. The firm majorly focuses on technology start-ups with high growth potential. It has invested in forty-one start-ups since its facilitation in 2011. Telstra Ventures has nearly 250M dollar funds under management. The investments are backed up by Harbour Vest which is one of the largest global private equity firm and Telstra, a leading technology company. Brandon Capital is one of the best VC firms in Australia, headquartered in Sydney. The firm specializes in boosting the growth and improving the medical outcomes of life science-based firms. Brandon Capital is basically a seed capital firm that has actively dealt with nearly twenty-four start-ups. It has nearly 300M funds under management. H2 Ventures, an early stage Australian VC firm was founded in 2011 and has invested in 37 firms so far. It has over 10 M funds under management. The venture capital firm is focused mainly on investing in and developing financial technology and artificial intelligence-based firms. It is, in fact, an early stage venture capital firm, and its portfolio list comprises Spriggy, Birch, Equitize, and Simply Wall St, to name a few. GBS Venture Capital firm was founded in 1996 and has assisted medical development and life science-based start-up firms. They have recently started investing in medical devices and diagnostics related firms. The best part is that their experience in life sciences has made them take up a board-level role in developing portfolio firms. The Venture Capital firm manages over 400 million-dollar funds and has actively invested in nearly 32 firms since its initiation. 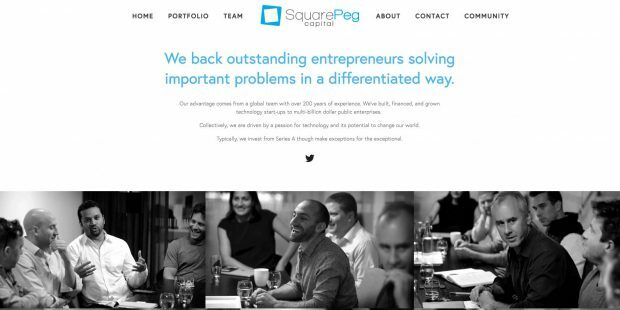 Square Peg is a Melbourne-based venture capital firm and was founded in 2012. It mainly invests in technology-based start-ups in early stage or growth stage. Square Peg manages over 400M dollars funds under management. It is one of the leading VC firms in Australia that has invested in nearly 30 online and 2 technical start-ups. The investments are largely backed up by Hostplus. The firm has made headlines, due to its investments of 150M dollars in just two years. Carthona Capital, founded in 2013, is one of the leading VC firms in Australia which is active in seed funding. They manage 50M dollar funds and have invested in nearly 30 firms since their inception. Carthona Capital invests by pooling its own capital in collaboration with a few highly worth family businesses and institutions. They invest in early-stage businesses and high growth potential start-up firms. Carthona’s portfolio list includes companies like Abra, credible, Hint Health and the like. Blackbird Ventures, based in Sydney and founded in 2012, basically invests and provides equity capital for firms in an early stage, series A, and seed-based firms. They manage nearly 200M funds under management and have raised nearly 400M funds and have invested in 28 technology-based firms. The portfolio list includes Karbon, Sempo, Honee, MOVUS, and Bugcrowd to name a few. It mainly focusses in series-A deals. Airtree Ventures Private Limited, a Sydney-based venture capital firm, founded in 2014, focusses investments in seed and early-stage ventures. Airtree venture manage around 250M dollar funds and has invested in twenty-three firms. It is one of the leading VC firms in Australia that focusses on technology and software-based firms. They have partnered with several prominent artificial intelligence firms like Hyper Anna, Seconds and Prospa. One Ventures, one of the leading VC firms in Australia was founded in 2006, in Vancouver. Rather than just investing, they even work with these start-ups to trigger their growth and assist in promoting these firms to Global Marketplaces. One Ventures mainly focuses on start-up funding in healthcare and technology-based sectors. They manage over 330M dollar funds and has invested in fifteen start-ups since its initiation. Reinventure Group, founded in 2014 invests in seed and early-stage ventures. Reinventure Group partnered with Westpac Banking cooperation focus on FinTech firms and had invested in 28 firms since its initiation. The Group manages over 100M Dollars fund. Society one, Basiq, Everproof, Coinbase and Valiant are few firms that form a part of their portfolio. Ellerston Ventures has been active in start-up funding since 2016. It invests in early-stage firms and targets businesses with strong teams. Ellerston Ventures manages over 100M dollar funds and has invested in nearly 11 firms since its foundation. It focusses on firms from different sectors that meet the pre- IPO qualifications. The best part about this venture is that you can avail various tax incentives if they invest in your firm. MH Carnegie, one of the leading Australian venture capital firms, was founded in 2010. They manage over 95M dollars and has invested in 23 firms since their formation. The firm focusses on medical and real estate firms and is specialized in expansion capital. These are some of the best venture capital firms in Australia. Did we miss an important mention here? Do let us know.